A car driving off the end of a road – symbolising the human race hurtling towards an uncertain future of its own making. The car driver is following the sat-nav (GPS) unquestioningly as the car drives off the edge of the precipice (which metaphorically signifies the collapse of civilisation). 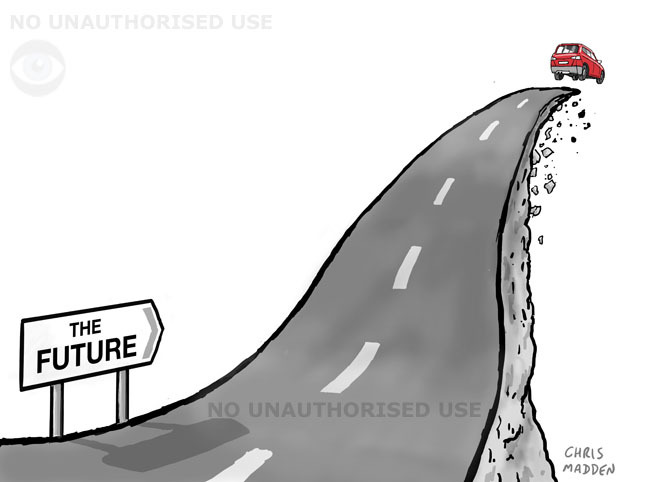 The road in this cartoon symbolises the human race’s road into the future, while the car is a metaphor for the human race itself, accompanied by its technological ‘life support system’. The message is meant to be that if we’re not careful it will all end very badly. This isn’t an anti-technology or anti-progress cartoon by the way – it’s just a view of how things might go if we aren’t careful. 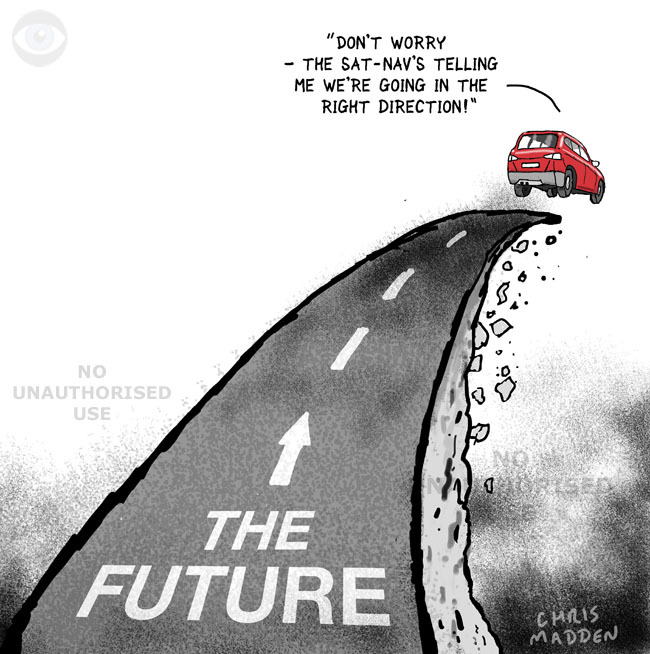 This cartoon is about the inherent danger in the advance of technology (here symbolised by cars, transport systems sat-nav) and other aspects of human progress. The further we progress, the greater the consequences of anything going wrong, especially if we put too much faith in technology and, as here, follow it uncritically. Is the human race heading for a mass extinction event? A cartoon showing geological rock strata and fossils, including the iridium layer that appeared at the time of the mass extinction of the dinosaurs. The implication is that while the event that created the iridium layer destroyed the dinosaurs, the event that created the layer of anthropogenic waste destroyed the human race. The current geological era or epoch is sometimes referred to as the anthropocene, as the major influence on the environment is the human race. Is the earth, and the human race, heading for disaster (because people seem to be only capable of short term planning)? An illustration commenting on the difference between the water supply in the developing world and the water supply in the developed world. The trouble with progress – cartoon. A cartoon showing progress coming to an end and suddenly ‘running out of road’. The concept behind the cartoon is that progress gives us lots of advantages (cars, roads and bridges in this illustration), but that it also puts us into a position of peril when the source of the progress suddenly disappears. This could be due to resource depletion, scarcity of materials, political instability, over-consumption, natural disaster, global warming, climate change. So in this cartoon the road on the bridge (which is a metaphor for progress) suddenly comes to an end, and the car (which is another metaphor for progress) plunges off the end, taking its passengers with it. This isn’t an anti-progress, back to nature cartoon. I’m a great believer in progress. It’s just that it has to be approached carefully, and we aren’t doing that. 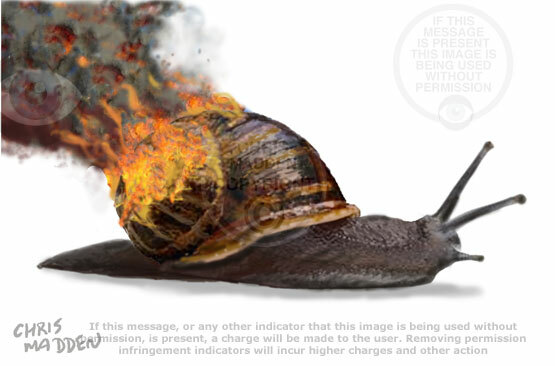 There may be a meaning to this cartoon related to global warming. Perhaps the hourglass, which is an illusion, represents the concept of climate change denial (where man made climate change is said to be an illusion). However, despite the fact that man made climate change is said to be an illusion the deserts are still getting bigger (and the polar caps smaller). Showing a caveman holding a new invention – the garden spade. The invention of agriculture, along with the invention of cooking, were key factors in human evolution and development. The joke here is that a humble garden implement such as a spade can have such a profound influence on human development. 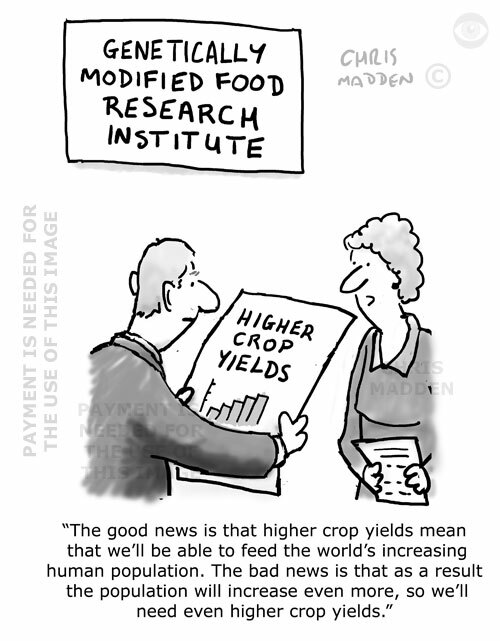 A joke about recycling, sustainability, back to nature, back to the ground, biodynamic gardening. Art cartoon: an old painting of the countryside and a modern painting of the countryside. The old painting shows a bustling farm scene. The new painting shows a huge boring field. Bucolic genre painting cartoon, showing an old view of industrious farm workers and a modern painting featuring a vast empty field containing nothing but a combine harvester. 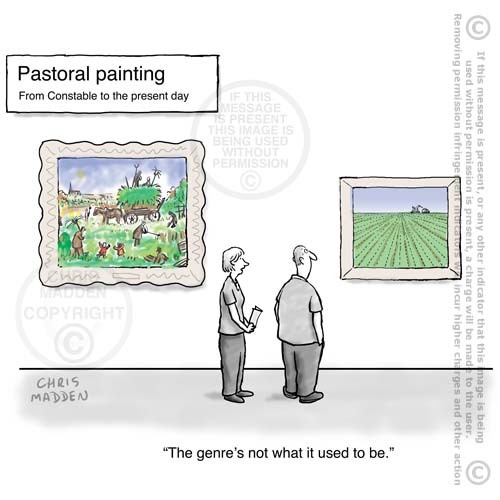 A cartoon illustrating the way that farm work and the countryside have changed over the years. 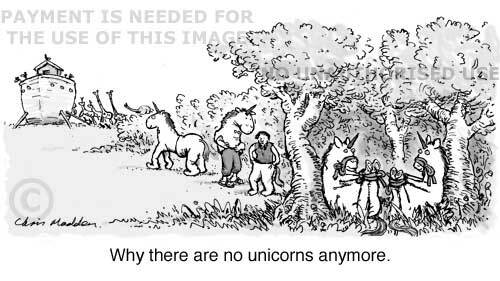 The cartoon also questions whether the assumption that because the old rural scene is more picturesque than the more inhuman modern scene it was necessarily better. The viewer in the cartoon seems to think it was, but is he correct? Environmental cartoon or illustration showing a person tending or taking care of the earth, symbolised by a large flower with a depiction of the earth at its centre. A possible logo for environmentally friendly food production farming methods. A cartoon encouraging people to look after the planet. Environmental cartoon or illustration showing people cycling to save the energy and the world. A positive image of people mobilising to save the planet and to reduce resources depletion by cycling. A positive, motivational environmental cartoon about ecology, caring for the planet. Possibly an image for earth day. The cartoon shows people pedalling on a multi-person bicycle or four person tandem with trailers. The balloon symbolises the world, and indicates that there can be enjoyment and satisfacion found in working towards a better more sustainable future. Environmental illustration showing the tree of life being tended and watered by a person. Artwork showing the tree of life being looked after by humans. This is a positive image to encourage people to take care of the planet. It’s a change from the environmental images which depict the human race destroying the environment. An environmental cartoon about ecology, species interdependence, symbiosis, caring for the planet. An image for earth day. Cartoon about the fact that the earth’s population has passed seven billion, linking it to the number of Facebook friends some people have.